Metatarsalgia, or metatarsal pain, is an umbrella term for pain felt in the metatarsal region of the foot (the ball or the top of your foot). Your foot is made up of a series of bones, starting at the ankle (tarsals), moving into your foot (metatarsals), and all the way to your toes (phalanges). Most often metatarsal pain is felt in the ball of the foot just behind the big and second toes. It can be caused by either too short a first metatarsal bone or hypermobility of the first ray (metatarsal bone and medial cuneiform bone behind it), both of which result in excess pressure into the second metatarsal head. That is a whole lot of medical talk that comes down to one thing: serious pain in your foot. If you want to seek relief from painful metatarsal pain, ball of foot pain, or top of foot pain custom made orthotic inserts might be the solution you’ve been looking for. Call us at Vancouver Orthotics today to set up a consulatation! Dr. Michael Horowitz offers a 5-Step process for relief & treatment of metatarsalgia, ball of foot pain, and top of foot pain in Vancouver. 1) evaluation, 3) custom orthotic fitting, 4) orthotic dispensing, 5) follow up care. 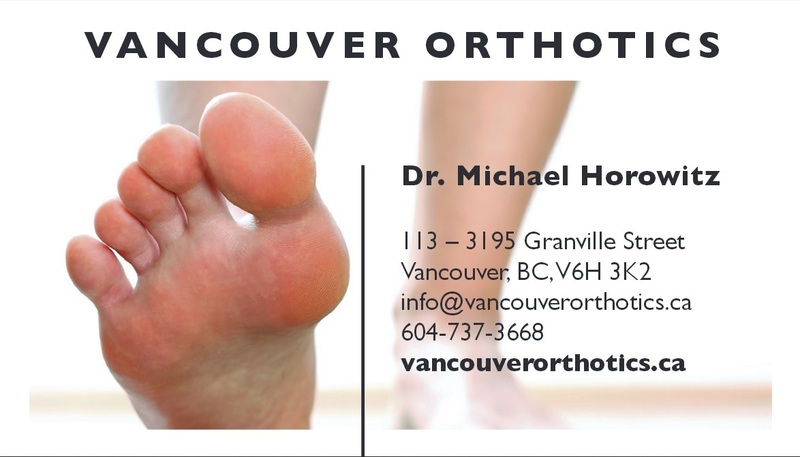 Call me at 604-737-3668 to discuss further or email Dr. Michael at info@vancouverorthotics.ca to take action & solve your metatarsalgia issues today.